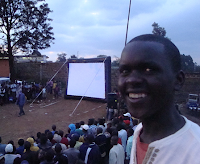 CHARCOAL TRAFFIC Filmmaker attends GLOBAL PEACE FILM FESTIVAL! CHARCOAL TRAFFIC Screenwriter and production assistant PAMELA COLLETT will attend all screenings of CHARCOAL TRAFFIC plus many other events during the GLOBAL PEACE FILM FESTIVAL in Orlando Florida 16-22 Sept. 2008. 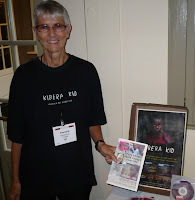 Pamela lived and worked in east Africa for ten years in Somalia, Kenya and Uganda. She currently works with HOT SUN FILMS/ FOUNDATION, home office in Kibera, the largest slum in east Africa, located in Nairobi, Kenya. Hot Sun's goal is social transformation through art and media. 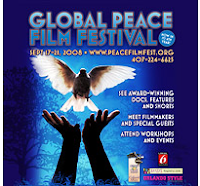 Look for Pamela at the GLOBAL PEACE FILM FESTIVAL! Don't miss CHARCOAL TRAFFIC. For more info visit hotsunfoundation.blogspot.com or kiberakid.blogspot.com. We are moving to kiberakid.blogspot.com where we will keep you posted on EVERYTHING going on in video and filmmaking in Kibera! Look for us there! Give us your feedback. Hey everybody, CHARCOAL TRAFFIC has been accepted at Raindance Film Festival, the UK's largest independent film festival, established in 1992. Raindance is held in London's West End and always features an eclectic mix of genres with films from all over the world. Are you ready for this? 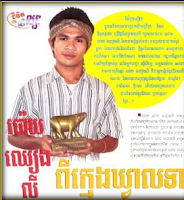 Go to http://www.cambotube.com/play.php?vid=162 and take a short trip from Phnom Penh the capital city of Cambodia to the countryside for a preview showing of CAMBOFEST, the International Film and Video festival of Cambodia. If you watch VERY CAREFULLY, you will see a truck scene from Hot Sun Films' CHARCOAL TRAFFIC being screened! WOW, from Somalia to Kenya to Cambodia! CHECK IT OUT! Pamela Collett will represent Hot Sun Foundation at the GLOBAL PEACE FILM FESTIVAL in Orlando Florida, USA from 17-21 September. Hot Sun Films short story of environmental devastation in Somalia CHARCOAL TRAFFIC will be shown. Watch for updates! HOT SUN FOUNDATION is dedicated to social transformation through media and arts in Africa's largest slum: KIBERA. We are working on the KIBERA KID feature project...the first ever feature film to emerge from Africa’s largest slum created in collaboration with it’s residents. The upcoming KIBERA KID feature film will reflect the larger human condition of always having a choice no matter how bad things get and that love and forgiveness is at the core of our humanity.